Mobilink always introduce phenomenal updates for his subscribers of Pakistan and at this time they have created really an efficient facility throughout in Pakistan. This telecommunication provides Mobilink Jazz Ecare offer to his valued customers of Pakistan. Customers can easily use this service for multiple tasks to do on daily basis. They can check his balance records, they can get full details regarding using of packages and they can also get latest news and features of this telecommunication. This is an excellent feature has created by this telecommunication and customers can avail this service through online. 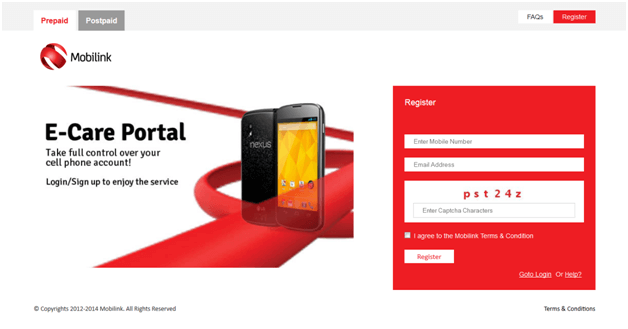 The charges to subscribe this feature and generate Ecare account to use are just free yes there is no fee signing up on Ecare portal of Mobilink Jazz. Many people know what’s a advantage to sign up on Jazz Ecare the benefits to signing up on this feature users will verify his SIM on online and they can also connect your SIM with authentic Email address and they can also use multiple options after creating Ecare account of Mobilink Jazz. This offer is for all the customers of this telecommunication. Mobilink Jazz and Mobilink Jazba users can easily create Ecare account through online without any issue. Customers can also get information and complete details regarding Mobilink packages and offers and if customers are using any kind of package of this telecommunication so they can also check remaining minutes or SMS bundles by using this feature. This is complete friendly users service to his valued users of Pakistan and subscribers can avail this facility on daily basis and get full details of his SIM card. Sign in Jazz is really an easy task for the users. We provide complete details about registration mention as below. Step 4: You need to type your correct phone number valid Email address. Step 5: After that you will receive PIN code for the verification on your mobile from help center side. Step 6: Then enter received PIN CODE on website for activation. Step7: Then you will receive Email on your given EMAIL ID with password of yours account. Step8: Check Spam and Junk Email box if you don’t find Email. Step9: You have to click on given link on received EMAIL. Step10: Your account has created and you can use your Mobilink Ecare with correctly. Congratulations! Customers can get history of balance, packages details, free and remaining minutes and bundles and various kinds of services by using this feature and your account has verified and you can avail this for doing multiple tasks through online.